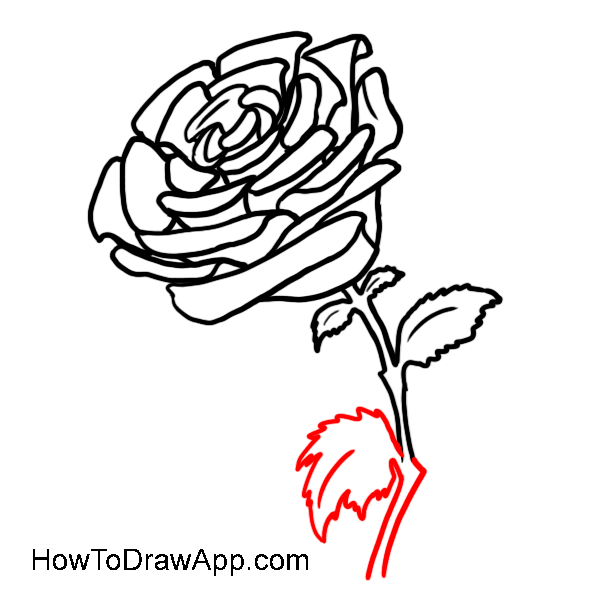 Learn how to draw a rose step-by-step. 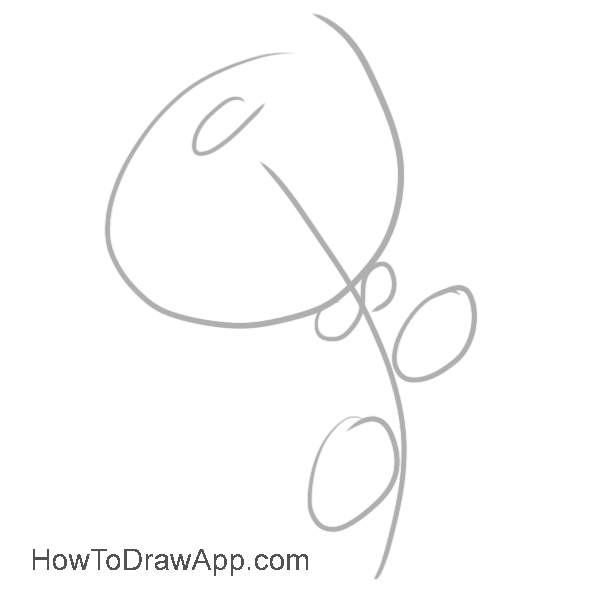 Easy drawing lessons for beginners and kids. 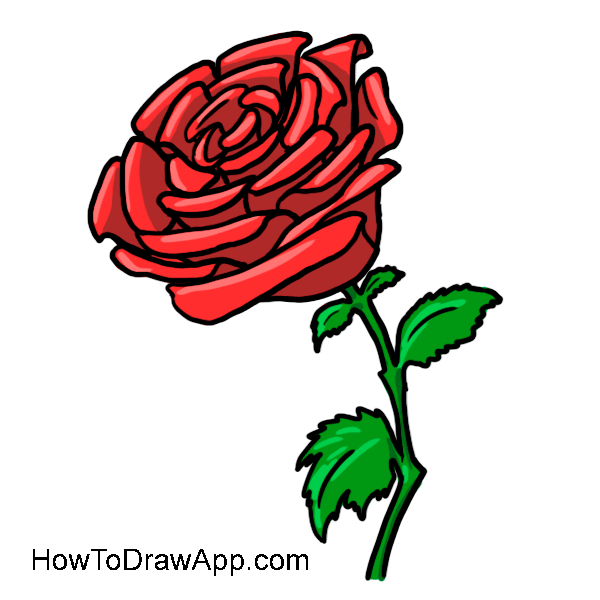 Draw a circle to mark a border of the flower and a line to mark a stem of the flower. Draw 2 ovals to schedule the leaves and mark the center of the flower. Mark two petals, one on another. Add three more petals above, row by row. Continue drawing some more petals bending. 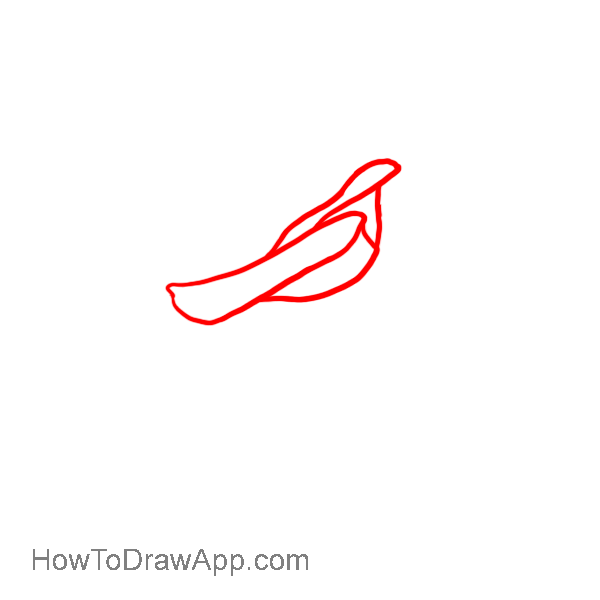 A petal on the right has a triangular shape. 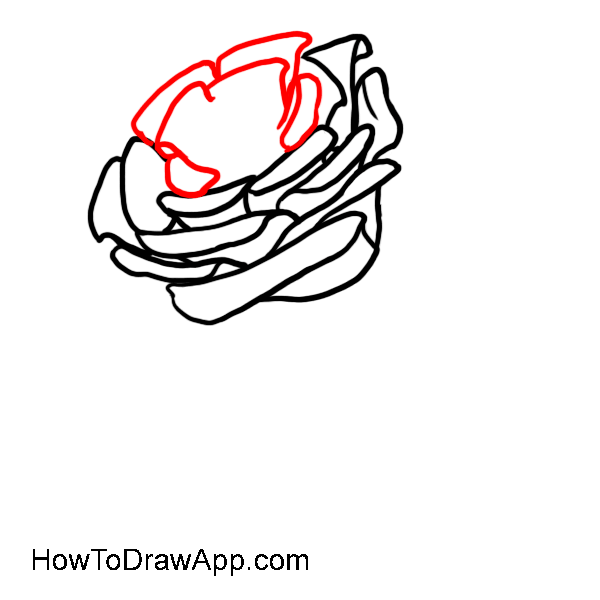 Draw more petals using slightly curved lines. 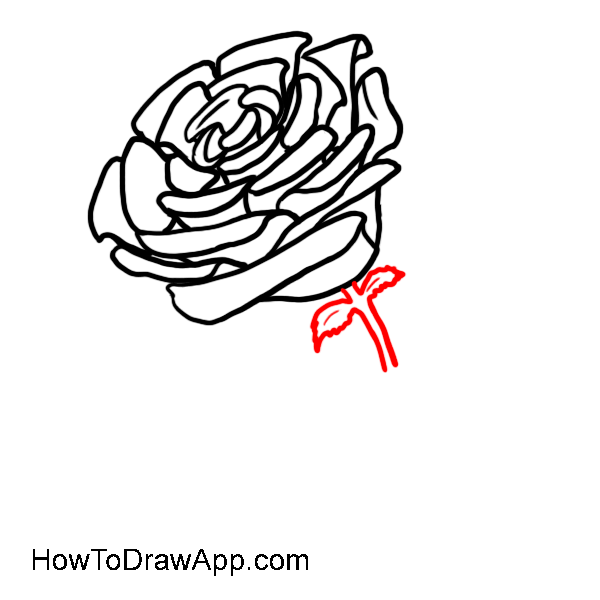 Draw petals row by row around the center of the flower. 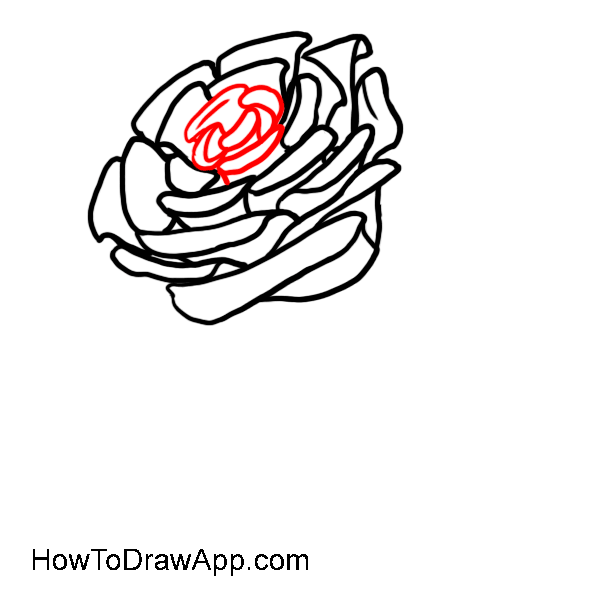 Finish drawing of the rose by adding some more petals in the center. 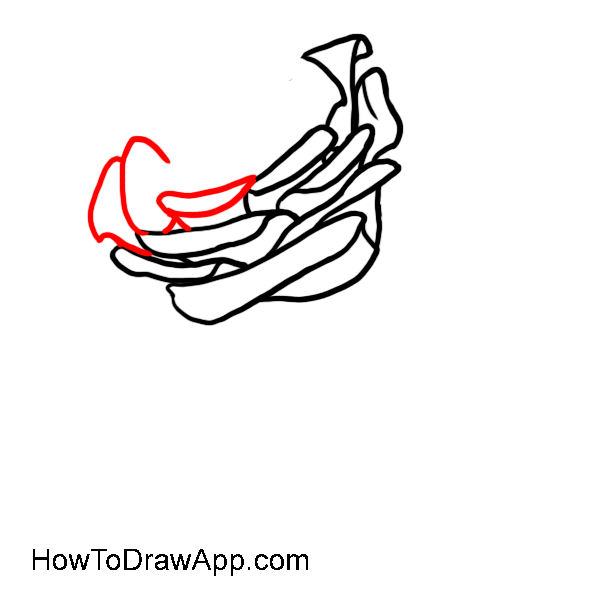 Make the stem thicker and start drawing small leaves at the top of the stem. 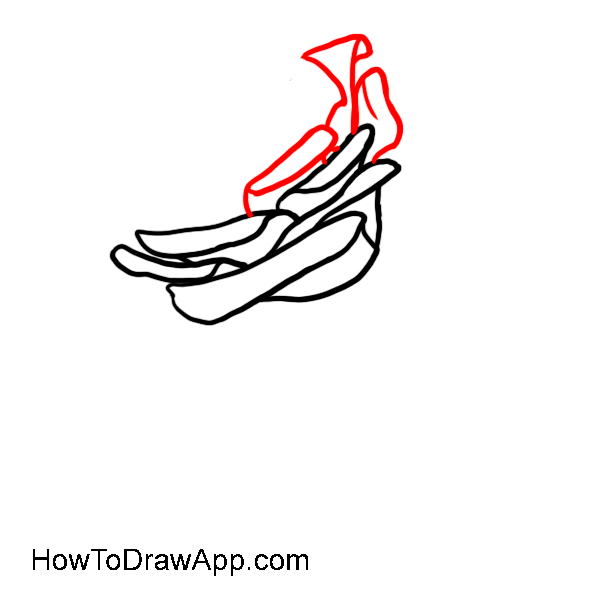 Continue drawing the stem and a leaf on the right. Mark the leaf with toothed lines. Finish the stem and the second leaf on the left. 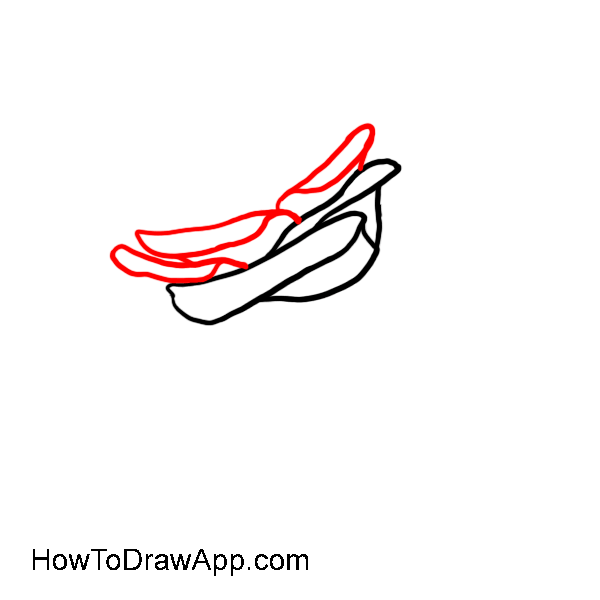 Use toothed lines to make serrations on the edges of the leaf. Delete all auxiliary lines and the rose is ready.